Micro barreling used to be kind of a thing in the American whiskey industry. More like a craft thing, but a big thing. Without getting into it too much, the idea is that new companies, needing to get a brand to shelf as soon as possible, turn to aging their new make spirit in small “micro” barrels so the spirit to oak surface ratio is maximized in much less time. It doesn’t work very well, but these days micro-barreling is used more as a supplemental aging technique than the only one. I think this is a better way. 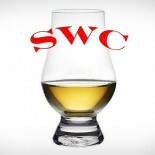 You’ll notice, however, that the Scotch whisky industry rarely employs, or needs to employ, this small cask technique. At least not until demand exceeds supply. 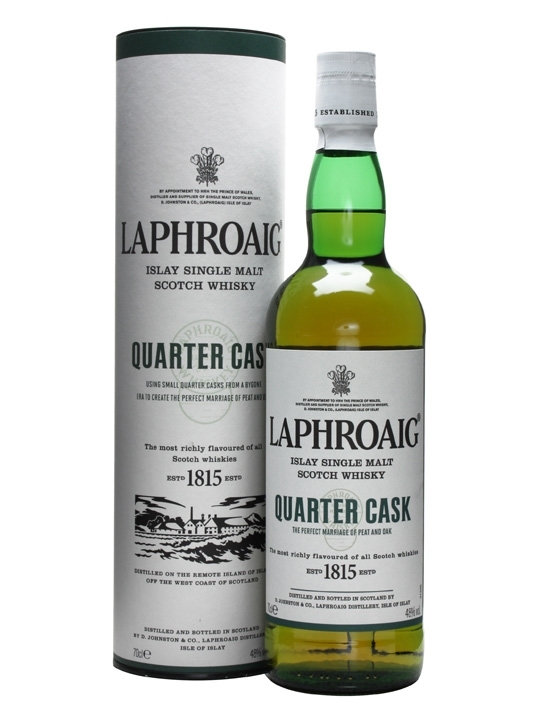 Quarter Cask is rumoured to be about 5-6 years old in standard ex-bourbon casks and is then finished at most another year in the quarter casks. Bottled at 48% ABV and $30.00 more expensive than the standard 10yr, expectations are high for this NAS delight. On to it. Nose- Fisherman’s wharf, but on fire. Tar boards, oily and briny. Iodine and creosote. Honey and pepper, vegetal, toasted barley. Tough, but a nice vanilla sweetness with lemon is there. Taste- Peppery, smoked game. Mouth coating. Punchy sourness. Savory spice. Finish- Huge peat and smoke. Charred oak. Light vanilla. Long, drying. Lingering. Comments- Very well composed. A great whisky. Fantastic taste. A well built Islay. Recommended. Agreed. Quarter Cask isn’t my favourite offering from the distillery, despite its popularity. Good review! If you don’t mind, check out our “Love Letter To Laphroaig” where we talk about some of the various expressions!